Finding a used Audi is very simple. It consists of browsing through our Pfaff Audi Vaughan website, or coming to our brand new used car facility at 115 Auto Park Circle in Woodbridge! If you are in the market for an Audi vehicle then you already know about the premium style and power that these vehicles provide the driver. Whether it’s new or used, an Audi vehicle will supply the driver with an exhilarating experience everytime you get behind the wheel. 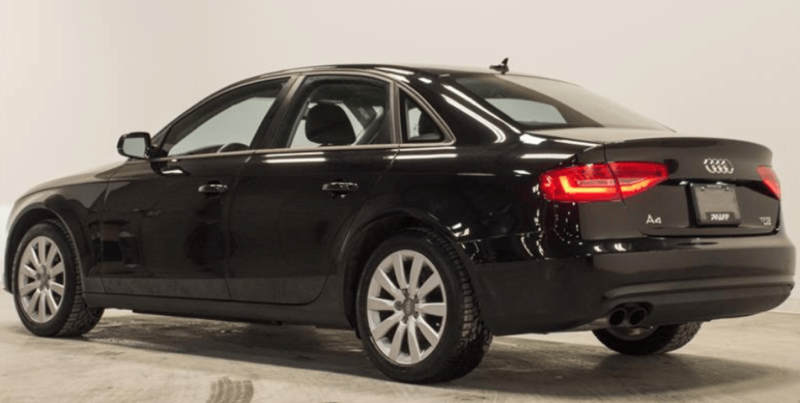 In this article by Pfaff Audi Vaughan, we will talk about some of the numerous benefits of purchasing a used Audi from our used car facility in Woodbridge. Read on for more information. Begin your search for used Audi vehicles here! If you are considering a pre-owned Audi vehicle, then it’s likely you’re debating between buying a used Audi vehicle and a new non-luxury vehicle. Luxury makes like Audi are filled with finer materials like wood trim and ergonomic details. They also feature better quality, more precision tuned engines that are built to give you more power and longer lifespans. Vehicles are by their very nature depreciating assets. Whether you purchase a new luxury or new non-luxury vehicle, you can expect to take quite the hit in depreciation as soon as you drive off the lot. Depending on a variety of factors, this may be anything from a few hundred dollars to several thousand. By the end of your first year of new car ownership, the average midsize sedan will lose approximately $7,500 of its value. Buying a used Audi vehicle is a smart way to avoid this initial drop and enjoy a vehicle that holds its value better. If you buy a used Audi from an official dealer, such as Pfaff Audi Vaughan, then you also get access to a ton of perks. Perks like free loaner car access during extended service and potential extended warranties with Certified Pre-Owned Audis. Audi is one of the “big three” German luxury automakers (the other two being BMW and Mercedes). But what makes Audi stand out even there is its relative affordability for a luxury vehicle that’s flush with the latest and greatest in terms of safety features, interior materials, exterior styling, and technology assets. For more information about finding a used Audi, please feel free to continue browsing through our website. Click here to find our contact information, fill out our contact form, and schedule a test drive at our used car facility at 115 Auto Park Circle in Woodbridge!